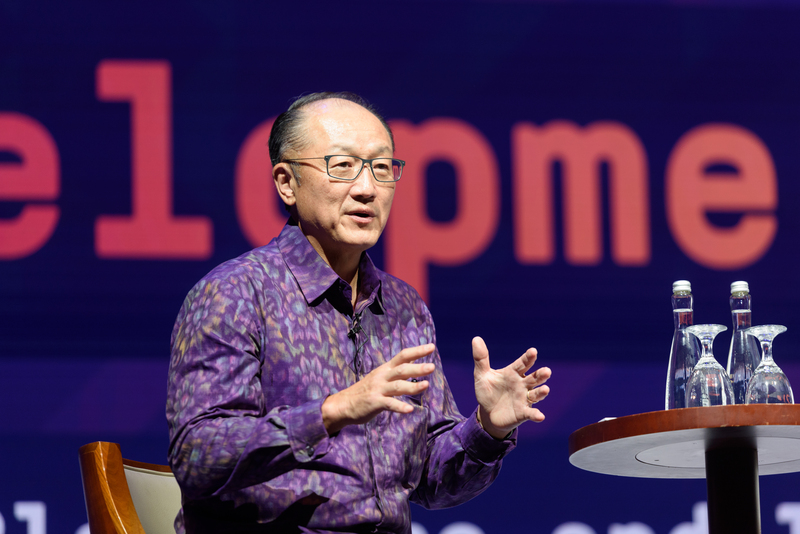 On January 7th, Jim Yong Kim, then-President of the World Bank, announced his resignation from his post, effective February 1st. Originally appointed by President Obama in 2012, his exit from the organization is most significant in that his successor will be appointed by President Trump. Knowing that Trump only appoints those he believes will support his policy goals at all cost, such as his appointment of son in law Jared Kushner, who has no domestic or foreign policy experience, to role of Senior White House Advisor, this resignation has far reaching implications. Whoever it is Trump appoints will likely support two of his key foreign policy goals. First, to abandon the World Bank’s commitment to Climate Change, and second, use the institution as a political tool to counter China and to possibly influence support for the American economy in governments receiving loans from the bank. The World Bank is an international financial institution with the mandate of providing loans to foster long-term economic development, mainly in developing countries. It has been one of the most significant lenders in history, providing funds for infrastructure in the Global South. Loans are often made conditional upon the debtor’s adherence to certain economic policies, formulated by the World Bank. Founded after World War Two, the World Bank has always been run by an American, appointed by the US president as a nod to their super-power status and victory in the war. Due to this policy, the US has had significant influence over the economic policies of foreign governments in need of loans. The US has often used this power to dictate policies that will benefit the West and neoliberal institutions. While leaders throughout history have tended to appoint those whose policy goals align most with their own, Trump is widely renowned for filling his administration with yes-men. He is interested in help only from those who will agree with anything and everything he proposes. The second cleavages appear, the naysayer is dismissed or “resigns” from their post, as seen recently with the resignation of Secretary of Defence James Mattis. Trump also values appointing those who will remain in their post past the end of his term, in hopes they will continue his work. The president of the World Bank is appointed for five year terms, so if Trump is not reelected, his appointment will still have massive, world-wide policy implications. It is also of note that many officials in the Trump administration have little to no experience in the field they are appointed to. Hordes of Trump appointees have no government experience and little professional experience in their fields, including: Secretary of Housing and Urban Development Ben Carson, a neurosurgeon by trade; Secretary of Education Betsy DeVos, a philanthropist; and former Secretary of State Rex Tillerson, an energy exec. It would be no surprise for this trend to continue with the World Bank. Many of these inexperienced appointees have jobs with far-reaching implications they likely do not fully understand, but it could be especially dangerous for the World Bank to be run by someone who does not understand its functions and effects. Recent speculation has placed First Daughter Ivanka as a front runner for the role. A model, fashion designer, and television personality, Ivanka has no appropriate experience to run an international financial institution tasked with the role of economic and infrastructure development across the globe. As a consortium of many states influencing the economic policies of countries across the globe, it takes quite a bit of coordination and understanding for the Bank to be effective in its mandate. It also could easily be a tool of neocolonialism, perhaps requiring those seeking loans to further open their markets to American products or any number of other policies preferential to the US. Someone who is in the position only to please Trump would be much more likely to use the Bank as such. Jim Yong Kim was memorable in his post for a number of reasons, but one of the most significant was his refusal to accommodate Trump’s vision of climate change. As part of Trump’s promise to support blue-collar workers, one of his policy promises was the revival of the coal industry in America. Mr. Kim, on the other hand, did not see coal power as essential to the future of energy production and in fact ended the World Bank’s endorsement of coal-powered projects. With Mr. Kim now gone, the World Bank’s stance on climate change in for a change. With the new President likely to support Trump’s favoured policies, it is possible, even probable, that World Bank conditionality on loans will no longer support a greener vision of energy production. With hundreds of governments receiving World Bank loans, reneging on a commitment to address climate change could affect the use, or lack thereof, of clean energy in thousands of infrastructure projects around the world. Climate change politics are likely not the only change to come under a new President. In April 2018, Trump pressured the bank to hike borrowing costs for higher income states, intentionally hurting China, which continues to borrow billions annually. This signals the importance Trump places on countering China when it comes to establishing international infrastructure, especially in light of the wide success seen by China in courting countries to participate in their One Belt, One Road initiative. It is very likely that whoever Trump appoints will place a focus on policies that will counter Chinese influence through limiting funds to the Chinese and increasing lending to other infrastructure projects. All in all, whoever it is that Trump appoints to the post will likely change the course of the World Bank. There will likely be a reversal of commitment to action against climate change, changed policies to counter China, and a tendency to use the bank as a political tool. Featured image by Brandon Payne for the World Bank Photo Collection, via Flickr Creative Commons.